summer yummies | eat. play. sleep. In a blender, combine the first 6 ingredients until well blended. Add the corn, blend again until the corn is roughly chopped. Pour 1/4 cup of batter onto a heated, oiled griddle and cook for 3 or 4 minutes per side. 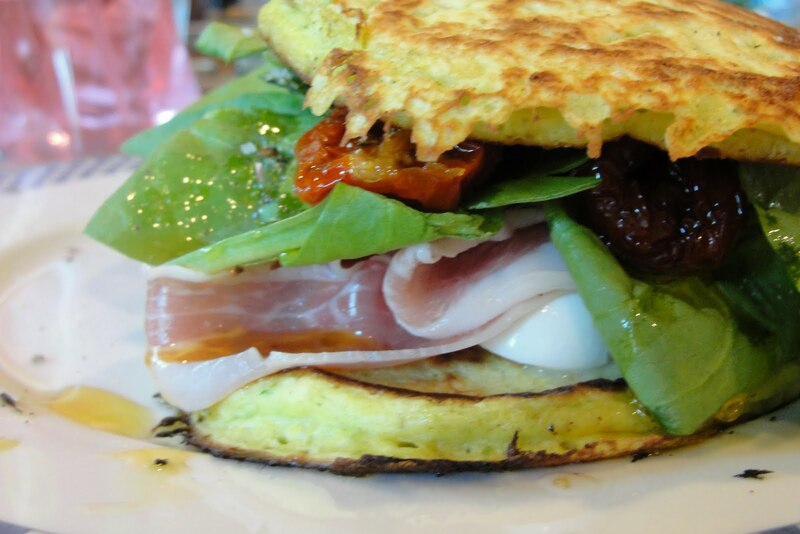 Place a corn cake on each plate, top with greens, mozzarella, tomatoes, and prosciutto. Sprinkle with salt and pepper to taste, drizzle with a bit of olive oil if desired. Top with another corn cake.